All groups develop their own lingo and yoga is no exception. Not only does yoga have another language (Sanskrit) defining some of its poses and actions but it also has incorporated a lot of new age speak into its commonly used phrases. Thus I created a yoga jargon bingo card. In no time you will find yourself filling a row. 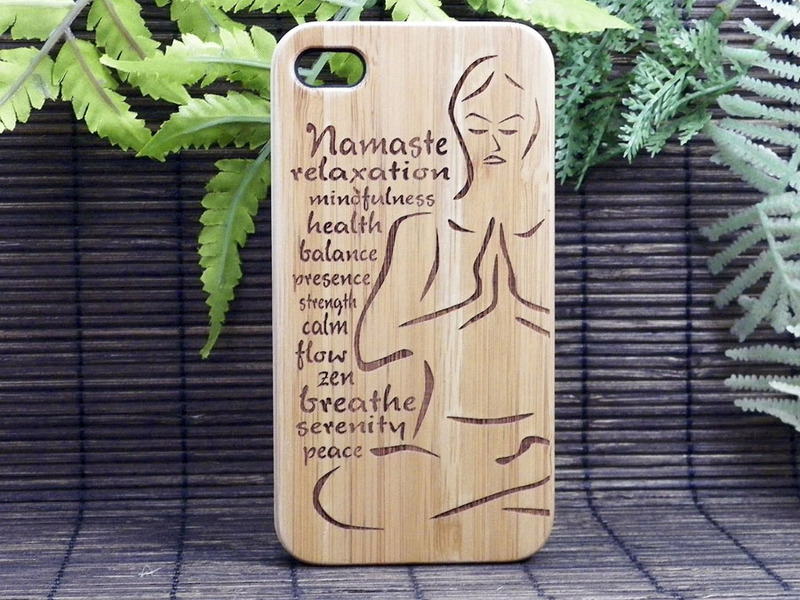 Great for yoga classes and especially fun at yoga conferences or yoga philosophical discussions. If bingo is not your thing the card also works great as a random yoga sentence generator. Some of the words you will doubtlessly know, but some of them are unique in the yoga world and some have special meanings within the yoga context. Now not only will you be shouting BINGO but you will know what all those words mean. Alignment – this is not talking about your car wheels but rather about how you line up the parts of your body. Proper alignment in yoga is crucial to receiving the benefits of the poses. Awaken – You may already think you have awakened when you hit the alarm clock, but here the meaning is to wake up inside yourself, as in discover hidden truths and insights. Balance – this is not referring to your checking account but has a two-fold meaning in yoga. Many yoga poses challenge and enhance your physical balance, your ability to literally remain on your feet. However, the expression is also figurative as in having appropriate amounts of things such as work versus leisure. Breath and Breathe – you might think the breathing you are already doing is good enough since after all, it got you to the class, but your yoga instructor is going to be talking about your breath and asking you to breathe as if they are obsessed with it. Which actually they kind of are. Breathing deeply is essential to relaxation and proper oxygenation when performing yoga. Chakra – you may have never known this but you have several chakras, or whirling energy centers, stationed within your body. They will not show up on an MRI, but many believe that imbalances in the chakras can lead to physical issues, or at least energetic issues. They are also often represented with different colors and often the lotus symbol. Deep – in yoga you will be asked to breathe deep or to deepen your breath. This is to remind you to breathe using your diaphragm muscle located at the bottom of your rib cage between your lungs and your internal organ section. When you breathe deep with your diaphragm muscle your abdomen will swell outward. This is how all the cool people in yoga breathe. Embrace – this is not a request for a hug but rather to accept certain ideas. Embrace your ______. 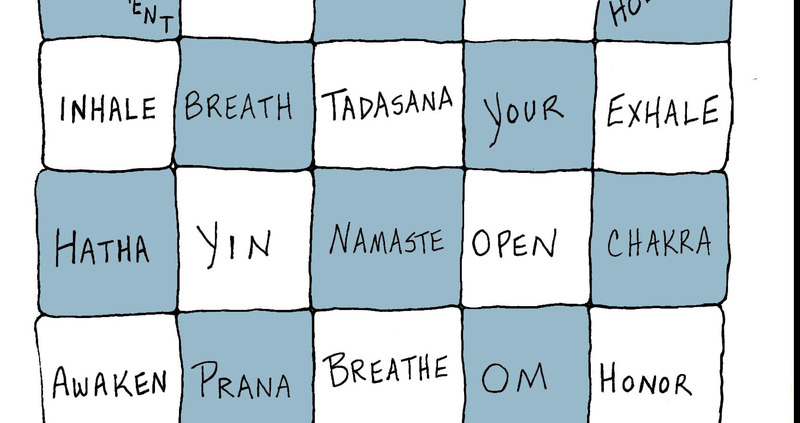 You can fill in the blank with other yoga lingo, such as embrace your chakras or embrace your breath. It is more of an idea than a literal thing. If however you are being asked to embrace your instructor, you may want to seek out another class. Energy – this is not referring to that stuff found in wall outlets but rather another term for life force. You will hear that yoga will enhance your energy or energize you, but don’t be surprised if you still get tired from doing yoga. It’s another one of those concept things. Exhale – this means to breathe out. You will be surprised how often you might hold your breath in yoga without knowing it. Your teacher knows this and will often cue you to exhale when doing certain things. When in doubt, exhale. Hatha – as in Hatha yoga. This is a Sanskrit word that translates to forceful practice and refers to physical exercises and practices designed to balance the physical and energetic body. Hatha yoga is a popular style of yoga with many different offshoots and instructors. Holistic – this is a concept referring to the complete system rather than just the parts. If they had spelled it whole-istic it would have caused a lot less confusion. Yoga is said to be holistic because it focuses on whole person, mind, body, and spirit. Honor – it could mean esteem, privilege, respect or obligation depending on how it is used. If you hear your instructor say “Honor your body in this pose,” they are actually saying “It’s okay to do what you want here with respect to your personal limits and comfort.” They could also say something like “Watch Out!” – but that would not be as yogic. Inhale – this means to breathe in. You will hear your instructor telling you to inhale with certain movements. They are not just being bossy but rather helping you to get the most out of your class. Inhaling and subsequently exhaling help to time your movements and slow down your actions to a relaxing pace. Namaste – this is a Sanskrit word that means more to the yoga community than the actual translation. If you ask a yoga person they will likely say it means “The light in me recognizes and honors the light in you.” The actual translation is more along the lines of “Howdy”, but let’s not spoil it for the yoga people. Om – this is a Sanskrit term that is the most fundamental of all chants in yoga. It sounds like ‘aaauuuummmm’ when chanted. The best definition I have found for the word is that it is the coalescence of the entire universe into a single sound. Open – this is not the sign that the yoga studio is open for business but rather a request that you open up yourself. Once again this is a figurative suggestion when referring to hearts and minds with no actual surgery necessary. Peaceful – as in meaning the opposite of warlike. 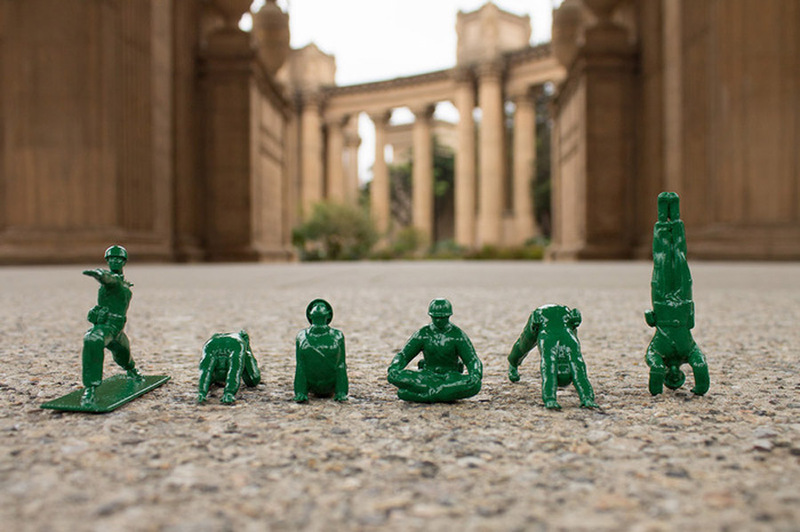 Very seldom with you find a yoga instructor offering warlike yoga. The most likely word following peaceful will be something like relaxation, meditation, or breath. Prana – this is the Sanskrit word meaning energy, as in life force energy. It is often partnered with yama, as in pranayama, which is the science of yoga breathing to cultivate energy. When it is spelled prAna it is referring to the yoga company which is about removing money from your wallet to purchase cool looking yoga clothes and gear. Relax – this is not meant sarcastically when said by a yoga instructor. They actually want you to relax as in stop being so tense. Sometimes they will tell you to relax things such as your leg which means to relax your leg muscles. Sometimes it is harder to understand what they mean when they say things like relax your breath. 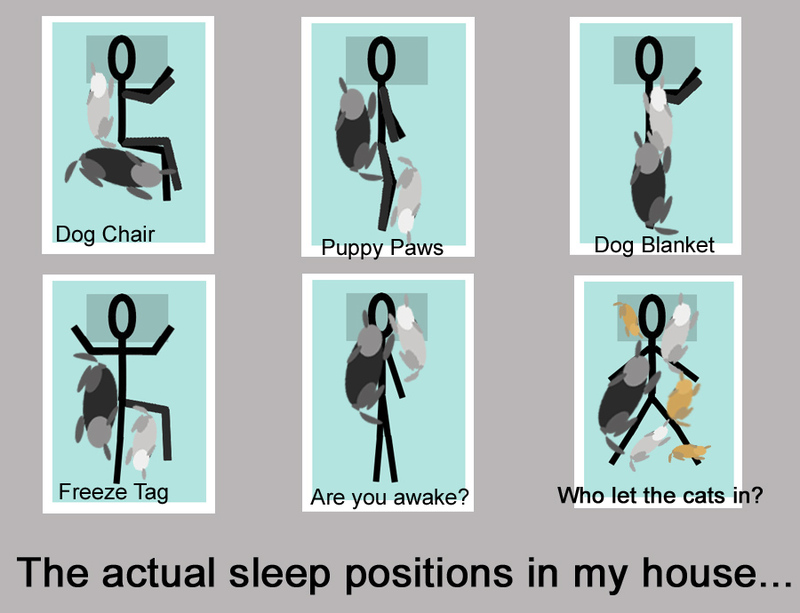 A little tip from me to you – they don’t mean stop breathing, just sort of, you know, stop gasping so much. Synergize – this term got pulled over from the business side of life and is just as overused and nebulous as when used in the business world. Technically synergize means creative cooperation and synergy is how the sum of two things is greater than its parts. If some yoga instructor exhorts you to synergize your breathing with your movements they are just saying for you to move more rhythmically and stop gasping so much. Tadasana – this is the Sanskrit term for the basic standing pose in yoga. It is also sometimes called Mountain pose. When the teacher asks you to go into Tadasana, they are asking you to stand in good posture, or in other words, stop slouching. Yin – this is a Chinese term for the passive female principle of the universe and associated with earth, dark and cold. Somehow it has filtered over into a form of yoga called Yin yoga. You might think it would be a form of yoga for passive females, but actually it is a slow paced yoga style where some poses are held for about five minutes. Well now, don’t you feel more informed. From now on you will be able not only to understand more of what is being said to you in your next yoga class but you also have a nifty bingo card to help you keep track and challenge your fellow students. Happy yoga everyone. 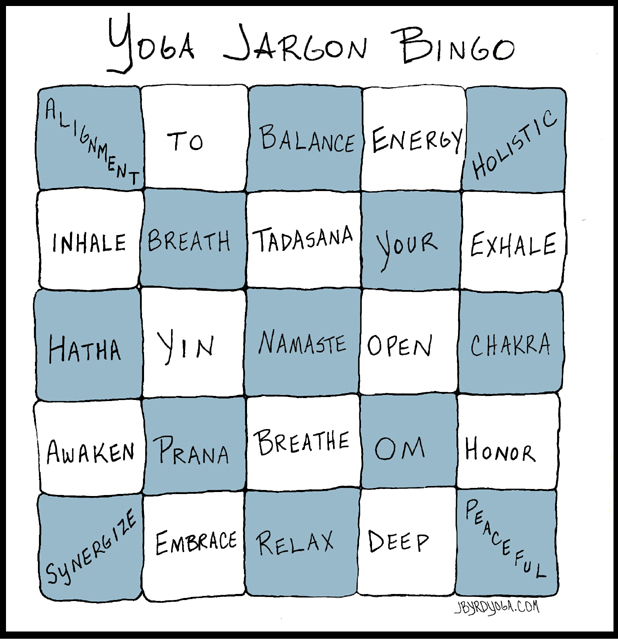 How would you like a Yoga Jargon Bingo t-shirt. These are cute and available in organic cotton. Order yours today.